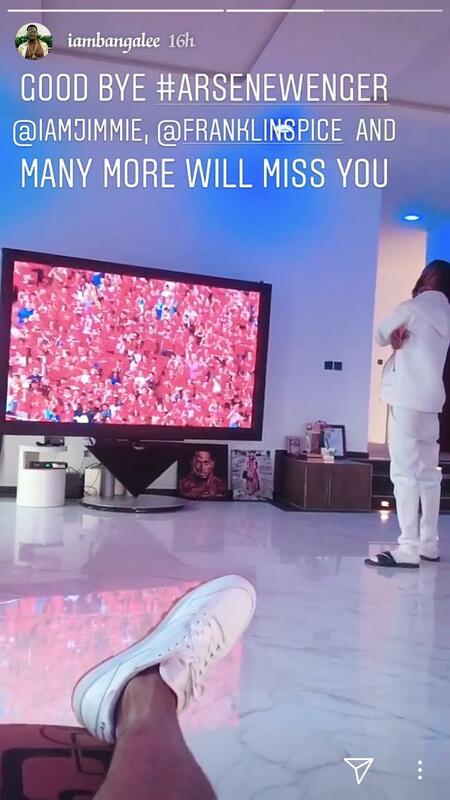 Nigerian singer, D’banj is really living the life. 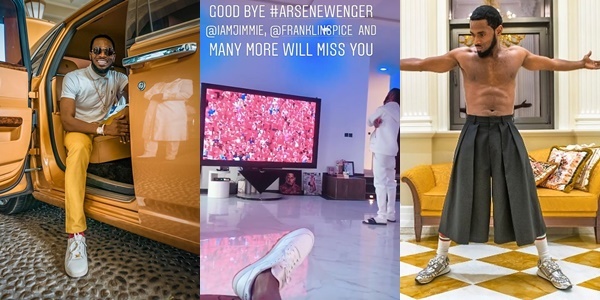 After recently moving into his luxury mansion in the Ikoyi area of Lagos state, where he also has a swimming pool engraved with his company logo at the bottom, the father of one has just been enjoying himself and making music. 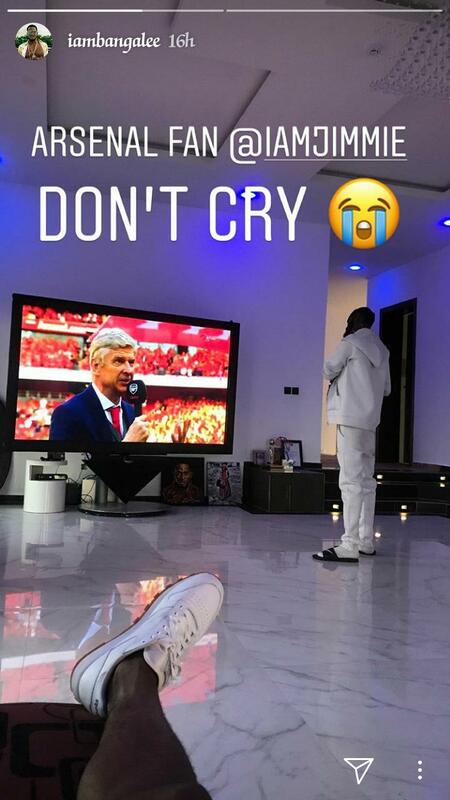 Yesterday, he was watching the farewell ceremony of Arsenal football club’s coach, Arsene Wenger when he shared photos of his gigantic curve television. 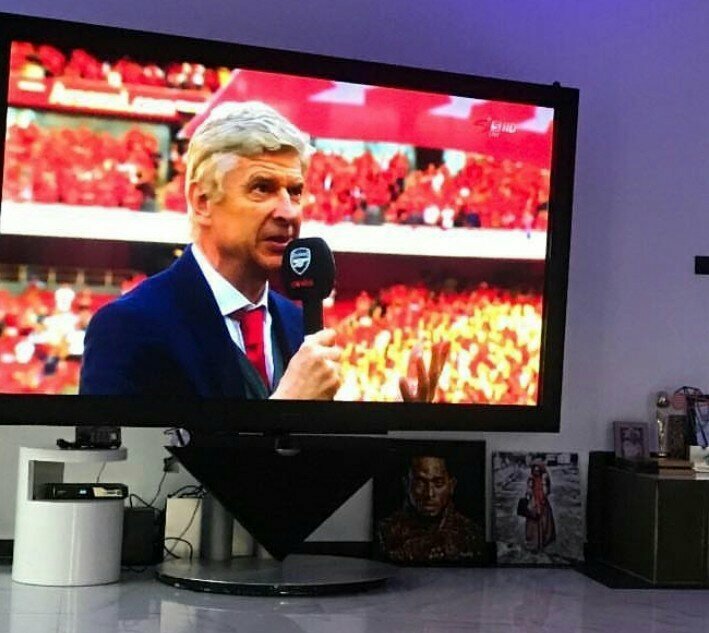 Reports has it that the TV is worth about N10million or even more.